Evaluation essays are just like reviews. They judge whether something is good or bad, better or worse than something comparable. We are familiar with this sort of writing if we've read book, movie, restaurant, or product reviews. Evaluation papers can be serious or funny, earnest or sarcastic. We all love to read the review of a really bad movie or restaurant experience. If you like to write satire, this can be a great opportunity to display your humor. Chances are you will have a great time, and so will your reader. Have a strong opinion—positive or negative—about this topic. Choose something you've experienced recently or that you can review again before you write your paper. Know a lot about this type of experience. Use the following list of categories to brainstorm ideas for what you might want to evaluate. Use this list of categories to brainstorm topic ideas for your essay. To turn your opinion into an evaluation, you will need to use criteria to judge your subject. What are criteria? Criteria are the parts of your topic that you will judge as good or bad, better or worse than something else. movie criteria: plot, actors, scenery, score, directing, chemistry between actors, humor. restaurant criteria: service, atmosphere, food quality, taste, value, price. website criteria: ease of navigation, design, visuals, writing, content. Finding the best criteria for your evaluation: In order to do this kind of writing well, you need to determine what sort of a topic you are evaluating. If it is a movie, then what genre is it: horror, romance, drama, etc.? Then you need to decide what would make an excellent movie in that genre in your opinion. For example, you may decide that a good romantic comedy has to have three things: humor, surprising plot twists, and actors you enjoy getting to know. Next, you will evaluate the movie you have chosen to see how well it matches those criteria, giving specific examples of how it does or does not fulfill your expectations of an excellent romantic comedy. What category is it? For the best evaluation essay, you want to compare your topic with things that are very similar, so try to narrow the category as much as possible. To get there, you want to keep on asking the question, "What kind is it?" What category does McDonald's fit into? Is This an Effective Advertisement? Thesis Statement: While you may have to wait a while to get your meal at Bob's Burgers, that is because everyone finds the meal is worth the wait; Bob's Burgers offers not only great service, but a fun atmosphere for eating with friends or family, terrific food, and a good value for the price. 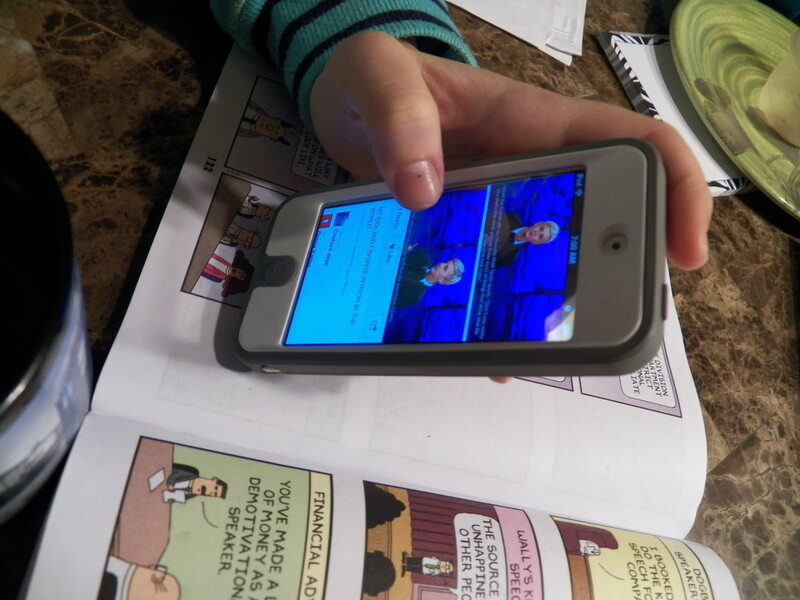 Topic sentence for paragraph 1: Service: Bobs Burgers offers great service that makes you feel at home. Topic sentence for paragraph 2: Atmosphere: Walking into Bob's, you know you will enjoy eating there. Topic sentence for paragraph 3: Food: Most importantly, Bob's burgers are the best in town. Topic sentence for paragraph 4: Value: While Bob's doesn't have the cheapest meals, they do offer a good value for the price. Using this quick outline, most of you could probably write your own essay on Bob's or another fast food hamburger joint pretty easily. Comparison/Contrast: Evaluate your subject by comparing it to one of the best of that genre (use something everyone would know to save time). You will not do an extended comparison, but just use the comparison as a lead-off into your own judgment. Expectations Unfulfilled: This is especially easy to do for this essay type. Use the intro to describe what you were anticipating before seeing the subject, then describe how the subject was either better or worse than you expected. Frame: Use a description of the subject to frame the essay. That way you get right into the action. Then break off half-way through to keep your reader in suspense. Give your evaluation and then conclude with the end of your frame. Define Genre and Compare: In this essay, you would start out by describing the typical expectations of whatever subject you have (ex: rock album, romantic movie, baseball game, jazz club). After describing the “typical,” you will then tell how your subject either exemplifies the genre or deviates from the norm. Probably this type of organization is best used for a satire or for a subject that deliberately tries to break out of the normal expectations of that genre. Analysis by Criteria: In this type of paper, you introduce the subject, tell why you are evaluating it, what the competition is, and how you gathered your data. Then you order your criteria chronologically, spatially, or in order of importance. Chronological Order: You might use this for all or part of your paper. It means telling what happened in the order it happened. This is particularly useful for a performance or restaurant review. Causal Analysis: This measures the effect on the audience. How does this subject cause a certain effect? Analysis Focused on the Visual: This organization plan works well for analyzing works of art and pictures. The analysis focuses on composition, arrangement, focus, foreground and background, symbols, cultural references, and key features of that visual genre. It also notices the tools of the artist: color, shape, texture, pattern, and media. This paper analyzes these details in order to explain how they are related to the cultural and historical context of the work of art and then tells how they relate to the overall meaning of the piece. Be sure to evaluate if and why this piece is effective or ineffective. Analysis Focused on the Social Context or the Story: This type of evaluation takes an image and analyzes how it is effective for a particular point. Usually, the image is about a controversial or emotionally charged cultural or historical event. Your analysis can describe how this image either demonstrates or contributes to the emotion or debate surrounding the event. It may be that the image is ironic or misleading. The only problem with our example above is that it is so easy to write, and so it might seem rather trite and unoriginal. How can you make your essay stand out? Make the reader feel that they have been to the restaurant with you. Use the introduction and conclusion to entice the reader. Use a conversation about the food. Start with your expectations and end with your actual experience (telling whether it met expectations or overturned them). Talk about popularity or history of the restaurant. Use statistics of people eating fast food more. Discuss the controversy about fast food and obesity and health. See the chart below for more ideas. What your audience should expect. Explain your expectation before seeing or experiencing subject. Were expectations fulfilled or unfulfilled? Discuss what other people think of this subject. Should agree with other people? Give a quote from someone about this (especially if you disagree). Describe how popular or unpopular it is. Is popularity a good judge for this? Show a conversation of people talking about it. Show a conversation of what people think after experiencing it. Give a scenario of a typical person interested in this. Would you recommend this? Do you have a better idea? Tell a personal story of your interest in the subject. Explain your final conclusion about this subject. Give history of event, piece of art, or other object. What is the meaning of this thing over time? Describe previous work of musician, director, actor, or artist. How does this work compare to rest of work? Cite statistics or evidence about this subject. How does this subject fit into or challenges statistics or facts? Define this thing or genre and what people typically expect. Does this fulfill, fall short of, or reverse the conventions of the genre? Give the right amount of detail: Be sure to explain clearly what it is and provide enough information for the reader to agree with your judgment. Sometimes movie reviews leave the reader in suspense as to the outcome of the story. You will have to decide what you want to tell. Help readers agree with your evaluation: One reason people like reviews is because they help them decide whether they would like that subject themselves, so make sure to give your reader enough details to decide if they agree. 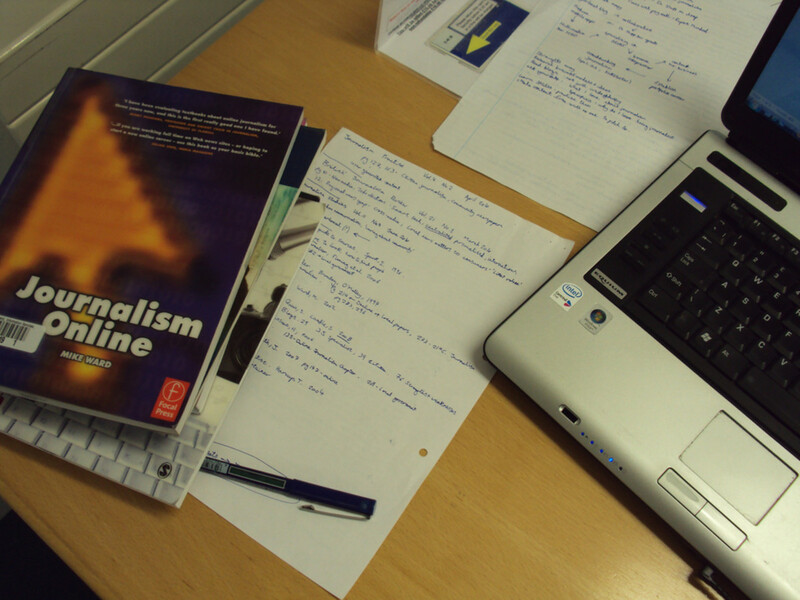 Write a review rather than a summary: Make sure that the summary of the subject is no more than a third of your paper. The main part of your paper is supposed to be the evaluation, not the summary. It is possible to do the summary separately and then do the evaluation, or you can summarize as part of your evaluation. Make sure what you are evaluating is clear: It is often effective to use an introduction which describes the subject or gets the reader involved in the action quickly. Define the audience you are addressing and the genre of the subject (in the above example, the audience is college students and the genre is action comedy). Create a three-column-log to help you make notes for your paper. Separate your notes into three columns for criteria, evidence, and judgment. Pick at least three criteria to talk about in your essay. For example, for a mystery play, it could be three of the following: plot, setting, costumes, acting of main characters, acting of minor characters, the pace of the action, or the unveiling of the mystery. Be opinionated! Passionate reviews are always more interesting to read. Use vivid nouns and engaging verbs. Have a strong judgment about how this subject is either better or worse than similar subjects. Your judgment can be mixed. For example, you might say the concert on the mall was a good mix of bands and that the new songs from the main act were energetically played, but that the sound equipment was poorly set up and tended to make it hard to hear the singers. Order the body paragraphs from least to most important. Back up your opinions with concrete examples and convincing evidence. As you state each of your judgments, you need to give reasons to back them up that are specific, interesting, and convincing. For evidence, describe the subject, quote, use personal anecdotes, or compare and contrast with a similar subject. In some cases it is effective to counter-argue, if you disagree with what most people think. For example, if your subject is very popular and you think it is terrible, you may want to state what most people think and tell why you disagree. This exercise is intended to help you prepare to write your paper. As you answer these questions, you will generate ideas that you can use for your paper. What is the topic (subject) you are going to evaluate? Do a short description of it in a list or paragraph. What category is your topic? Be as specific and narrow as possible. Who might be interested in this? This is your audience for the paper. What did you expect before you experienced your topic? How did your experience either fulfill or reverse your expectations? In your evaluation of your topic, what is good? In your evaluation of your topic, what is not as good? What is the best example of something in your topic? (Or what other things can you use to compare your topic with?). How does your topic compare to the best of this sort of thing? Look at “How to Write and Evaluation Essay” Organization Strategies. Which of these will you use? Explain how you will use it. Introduction/Conclusion ideas: Which of these will work best for you? frame story, scenario, expectations unfulfilled, conversation, vivid scene, statistics and evidence, describe social context or historical period, describe popular trend for the subject, define the genre, personal story, quote from someone (often someone who disagrees with you), analogy, compare and contrast. How will you use this introduction and conclusion idea in your essay? Now write a brief outline of your paper (see hamburger example above). Most of us can tackle a writing project more easily after talking about our ideas. Instructors may have you work in groups to talk out your ideas. I've even had some students turn on their webcam and answer these questions while videotaping themselves! If your instructor doesn't have you work in a group, you can get together with some friends to answer the following questions and take notes to help you get ideas for your paper. Take turns in your group. The main goal is to help one another prepare to write. Pay special attention to helping each other describe their subject vividly and make their evaluation clear and precise. Also, look for good ways to organize papers. Tell your subject to your group. Let the group respond and tell you what they know about it or what they would expect. You write down their answers. Explain your subject. Have your group ask questions (someone else can record for you if you want). Explain your criteria for judging it (#5 in pre-writing). Have the group respond. Do these seem like the best criteria? Any other suggestions? Tell your group your one-sentence evaluation (this is your thesis). Get suggestions for how to make is more effective. Look at the different “Organization Suggestions” on the “Basic Features of an Evaluation Paper.” What type of organization would work best for this paper? Try to write a simple outline. What are you going to evaluate? My assignment is to write an evaluation of the novel 1984, highlighting the features that make it a fitting text for the genre of young adult literature, how should I proceed? 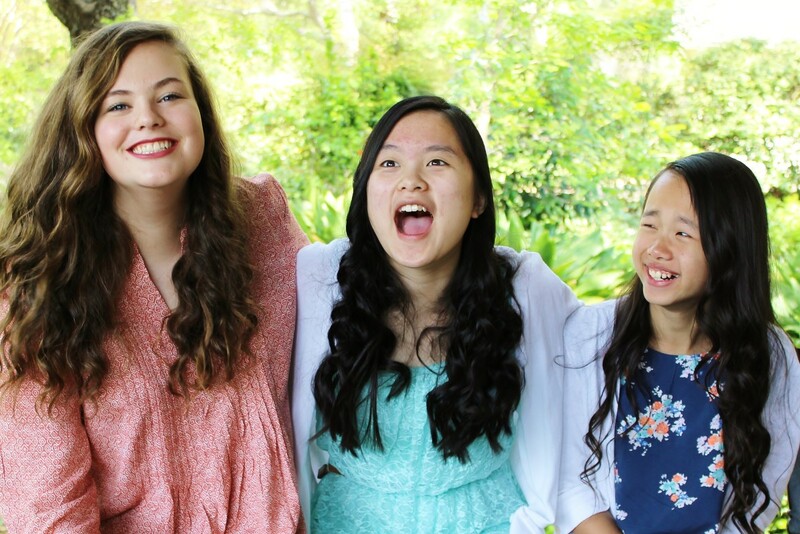 Has themes relevant to young adults. Addresses problems that young adults care about. Has interesting characters that seem real. Has an interesting end that makes the reader think. After you have come up with your own set of "things that make a great young adult novel" you can look at 1984 and evaluate how well it does those things. In organizing your paper, you can use one criterian per paragraph and then give examples from the novel to show how well it meets that criteria. Are there some ways to do an evaluation for a graphic novel? How do I write an evaluation essay about a language teaching coursebook? I'm writing an evaluating essay on the movie "Freedom Writers." What criteria should I consider? How interesting is the plot? Is the acting well done? Do the actors match the roles well? Does the filming enhance the story? Is the setting realistic to the story? Is the movie visually appealing to the audience? Does the movie get the audience involved and interested in the storyline? How can I start my introduction of an evaluation? Before you can do an evaluation, you need to make sure your readers understand what you are evaluating. Therefore, the best introduction is either a description or summary of what you are going to evaluate or else your expectations (or the general expectations of most people) about that subject. I am writing an evaluation essay on Netflix. Is the following criteria good? Netflix is convenient and easily accessible, has an affordable cost, no commercials, and allows users to sign in into an account from different devices. According to my professor, just the first two are good. What do you think? 1. Is it cost-effective compared to alternatives? Is it a good value? 3. Is there a good variety of choices in content? Is it better for a certain age group or demographic? 4. Does it do a good job of suggesting content that the viewer would like? Can the introductory paragraph in a 7 paragraph essay be 2 sentences long? The introductory paragraph should probably be at least 5 sentences long. In general, paragraphs in a short essay (less than 5 pages) should never be less than 5 sentences each. I'm writing an evaluation paper on Adidas and I don't know what my thesis should be about? Adidas is one of the most popular brands of shoes, but are Adidas shoes really as good as they hype? My assignment was to make an evaluation and comparisons of the three video presentations which have the same subject or topic but are presented in different ways. I am also supposed to choose the best video presentation after evaluating and comparing the three presentations. So, how could I do the evaluation and comparisons in an essay form? I would like to write an evaluation of the movie Django Unchained. What elements should use to support my thesis? 1. How good is the acting? 2. How good is the action? 3. Is the filming and camera angles well done? 4. How well does the movie interpret the theme? 5. Is the ending satisfying? How can I start an evaluation essay about Facebook banning students who sign up? Start with a story of this happening to some students and then end with the question, "Should Facebook be able to ban students from signing up?" I am writing an evaluation paper and I am evaluating if Head Start is a quality preschool program. How can I start the introduction and what should my thesis look like? My criteria are building relationships between children, teachers, and parents, following health guidelines, safety and environment practices, whether staff are well prepared and knowledge seeking, and whether the curriculum is age appropriate. You have a good start on your paper outline. Start with a description or story of the program or the problem of daycare programs being well run. Then ask your thesis question: Is Head Start a quality preschool program? Your thesis will be the answer to that question. Can I use the first person in this essay? My paper is about the features of an iPhone X Max compared to an iPhone 8 plus. Can you give me some ideas on how I could start? One good way to start is to give a description of the new phone. A second introductory idea would be to talk about the continuing desire for novelty and improvement in phones and the hype surrounding that. How do I start the main body of an evaluation paper about "Evaluate the view that all firms are aiming to maximize profit?" You will need to end your introduction with the thesis question: Is it true that all firms are aiming to maximize profit? 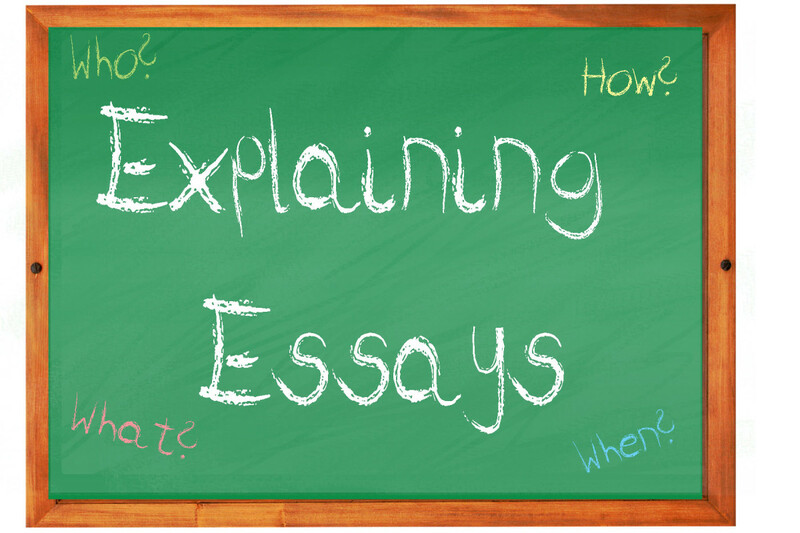 How do I format an Evaluative Argument essay? 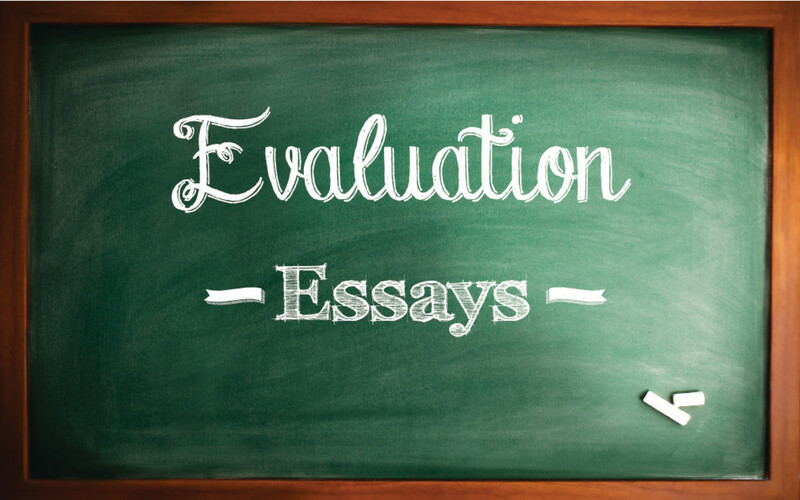 Use the format of an Evaluation Essay. An evaluation is a kind of argument. You are arguing that your judgment of the topic is correct. 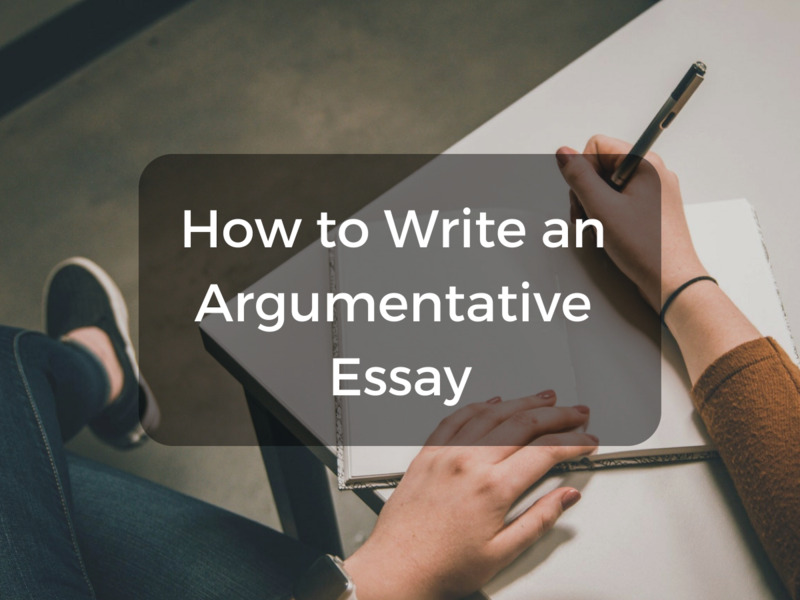 For more ideas on how to do this, you can look at my articles on how to write argument essays. How do you write a post teaching evaluation? A post teaching evaluation can be written either as a self-evaluation by the person who did the lesson or by an outside observer. In either case, it is essential to know the goals of the lesson, and to establish the criteria or aspects of the teaching that you are going to evaluate. The introduction would probably include: the goals of the lesson, information about the students being taught, and any pertinent information about the teacher, as well as any special circumstances of this lesson. For example, that the teacher is a student teacher being evaluated on their first lesson, or a tenure-track teacher who has taught this grade for many years but is now trying a new curriculum. Mrs. Ruiz clearly explained how to write roadmap thesis sentences using a variety of examples and involving the class in an active discussion, whole-class participation in writing exercises and individual practice. Mrs. Ruiz followed good teaching practices by actively engaging her students and giving them many opportunities to practice the activity before being evaluated. Mrs. Ruiz's enthusiasm for the subject and humorous examples kept the class engaged, and it was clear that they enjoyed her lesson. Students were actively engaged in the lesson throughout, and when two students got off-task, Mrs. Ruiz was able to quickly bring them back to the focus of the less. One weakness of the lesson is that Mrs. Ruiz did not pace her lesson as well as possible and many students ran out of time to finish their in-class work, making many grumbles as they left that they would have too much to do as homework. To make her teaching more effective, Mrs. Ruiz should consider the timing of her lessons carefully. She may want to keep a closer watch on the clock and limit the amount of class discussion in order to move on to the next section of the lesson, or perhaps spread this type of three-step lesson over two days of instruction. How can I start an essay on evaluating the claim that children are active and creative in their relationship with new media technology? The best start for an evaluating essay is to give the reader a picture of what you are evaluating. So you can use a story of the topic and then back it up with some statistics. I'm writing an evaluation essay about the 2018 Pulitzer Prize for Editorial Writing, "Iowa senator's comments on diabetes miss the mark." How will I be able to evaluate and make an introduction to it? Start by explaining the situation for this particular piece and/or the award. Then give your thesis which will be what your main evaluation is of this story. What do you think of the topic, "What is the best thesis for evaluating the game of softball?" as an evaluation essay? 1. What is the best way to pitch in softball? 2. What is the best way to coach a softball team? 3. Is softball a good game for young people to play? I have chosen to write about a job I'm considering in the future. I'm just not sure what to write my thesis on. Should I use, "This is a great job to earn a degree for because...?" Is most of the essay going to be measuring pros and cons? 1. What are the advantages and disadvantages of a career in ____? 2. Should you choose a career in _____? 3. 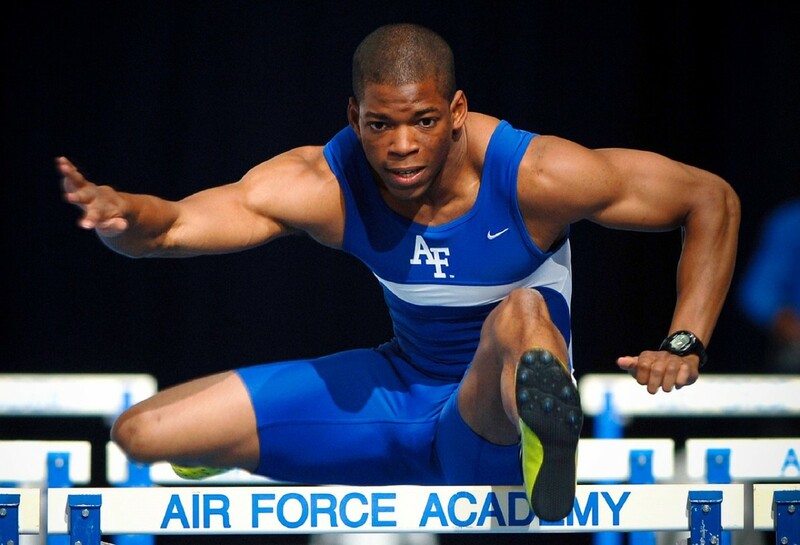 What career will give you the most financial security? 4. Which career choice will lead to the most life satisfaction? How should I start an evaluation essay on a vacation spot? Use either a vivid description of the vacation spot in your introduction, or else describe your anticipation about the vacation. I am writing an evaluation of a live performance of the T.V show, "Dora the Explorer," how should I start? My paper is an evaluation of Starbucks versus Local Coffee. How do I evaluate while comparing the two subjects? Typical criteria for evaluation of a coffee house would be similar to those you would use for any restaurant: service, food, atmosphere, and value. You can also use the criteria of which is a better place for a meeting with friends, studying, or doing work. How to I evaluate a movie without using personal opinion or judgment? You cannot do an evaluation without using personal opinion. However, if that is part of your assignment, your instructor probably means that they want you to back up your personal opinion with facts from the movie. I am writing a compare and contrast evaluation argument about advertisements. I picked two Courvosior ads, one from 1980 and the other from their new campaign here and now. What should my criteria be? I was thinking art, color, and the spontaneous environment that the new ads are set in vs the old ads. How do I write an essay about a museum? I have to write an evaluation essay on iPhones. I don't now what to start with. Can you help me with a great beginning? How would I start an evaluation essay paper on a Samsung Galaxy watch? My assignment is to write about the greatest impact that a teacher has made in me as a student. How should I proceed? I'm writing an evaluation of the movie "Spotlight." What three criteria should I consider evaluating? 1. How well does the film stay true to the real story? 2. Is the plot well done with interesting development and pacing? 3. How well do the actors portray the characters? 4. Is the ending of the movie satisfying? 5. Does the film sensationalize the subject or try to be too moralizing? Or does it thoughtfully try to make the audience think carefully about the story? I am writing an evaluation essay with the topic "Should genetically modified foods be labeled for consumers?" What should my thesis statement look like? Genetically modified foods should not be labeled for consumers because the definition of GMOs is not clear; all foods have some sort of genetic modification through either genetic modification or traditional breeding; and, furthermore, such labeling is confusing to consumers. I need to write an evaluation essay based on the Nintendo switch console, any ideas on how to proceed? Writing an evaluation essay on a product is relatively easy because basically, you are constructing a review of a console that most of us are familiar with, and have seen or read reviews of. In fact, you might want to watch a few video reviews to get some ideas of the criteria you can discuss. Your criteria would be things like how easy it is to set up, how intuitive the play is, the game experience, variety of games available, etc. Of course, you will want to compare it to other competing systems, as well as to earlier Nintendo consoles. Your audience would be someone thinking about purchasing the product. So your conclusion would tell them whether or not this is a good purchase and why, or what sort of person would like this particular product. I need to evaluate "R programming language" but I don't have any experiences in this language, how can I evaluate this? I am unsure why you would be asked to evaluate a computer programing language that you do not know. In order to evaluate "R" you would need to determine what makes an excellent programing language and then compare "R" to that standard. Another way to evaluate is to compare "R" to another programing language used for data analysis, such as Python or "S." While it is possible to research and explain a subject you do not know about, an evaluation does require a personal opinion. Perhaps you can interview people who do use "R" to get some ideas. I’m writing an evaluation on the movie “Superbad.” What criteria should I consider? How well does it succeed as a comedy movie? Is the acting well done and are the actors well chosen for their roles? How does it compare to other comedic, coming-of-age movies you've seen? I need to write an evaluative essay evaluating two forms of media. I will use the short story "The Bear Came Over the Mountain" and the film "Away from Her." Any title ideas? Does a Film or Short Story Tell an Alzheimer's Love Story Best? My paper is an evaluation of an opinion article about "federal government plus autonomous regions" from Manila Bulletin. How should I start my essay effectively? One thing you will need to do in this sort of evaluation essay is to explain to your audience the content of what you are evaluating, because they won't necessarily have read it. So the first thing I would do is to summarize the opinion article. However, you may need to give the reader some context for that opinion before you summarize if they are not familiar with the issue. 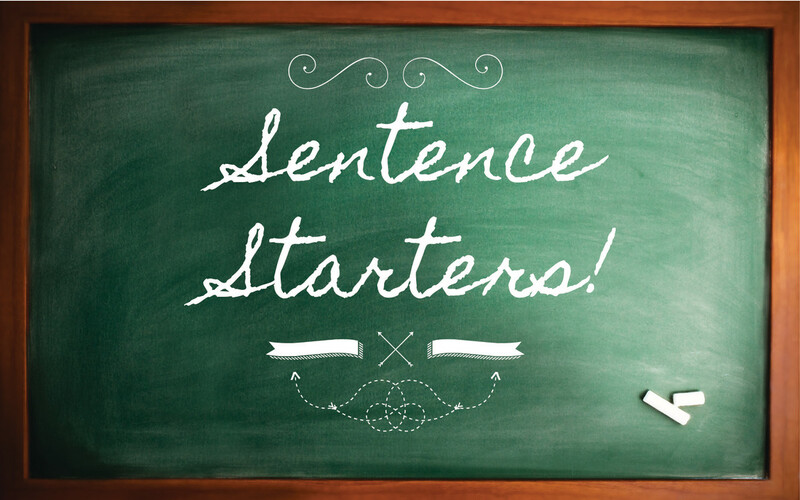 I generally tell students to start with something that grabs the attention of the reader. For example, if the issue is about a bad law, you could start your paper with a story about someone encountering that bad law and all the problems that makes them have. Then you can explain the opinion article and what they think about that law. 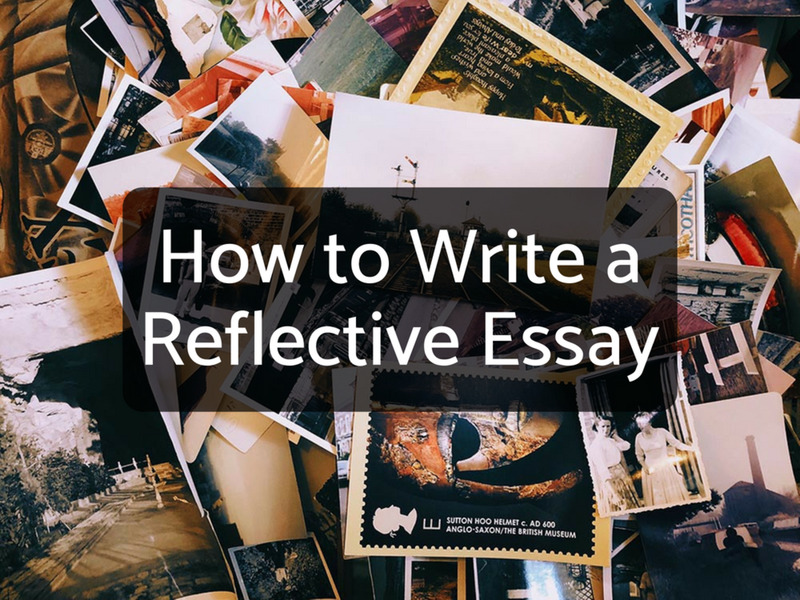 Your thesis sentence would be something like: "Does Ms. Johnson write effectively to convince her audience that....." Your article will evaluate the person's analysis of the situation as well as whether they have effectively argued their point of view. Your evaluation can consider the tone of the article, the use of examples, the quality of the evidence, the effectiveness of the arguments presented and whether or not their ideas offer the best way of looking at this situation. My evaluation is to write about the activity I have had with one of the patients in the ward. I have to reflect on the plan, the actual activity (how did it go), what would I change, and how the theories that I have applied helped. Could you please help me in how should do it in order to touch all the points? Introduction: describe what the problem was, or what the situation with the patient is that made you feel this was a good activity. This paragraph can end with something like: What is the best activity to help the patient be able to eat independently? 1. 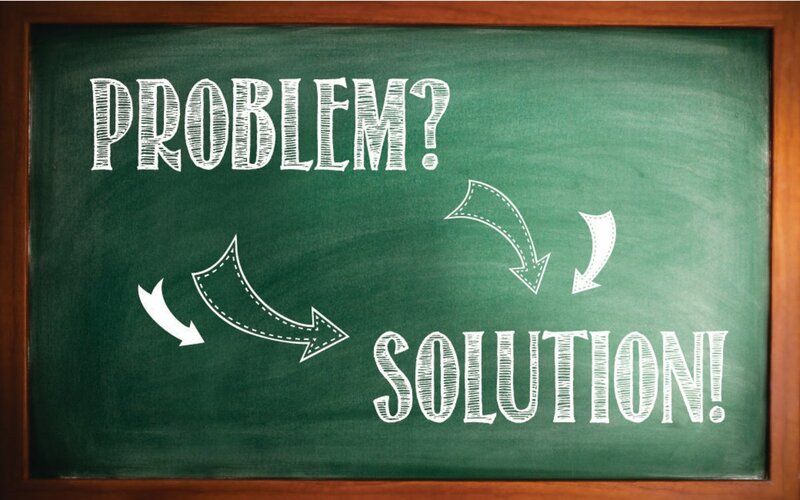 What is the best activity to solve the problem? : describe the plan and why you chose that plan. Your reflection here would be why you chose that plan over other possible activities. 2. How did the activity go? Describe the actual activity and reflect on how it went. 3. What would I change? You might want to reverse the last two points to talk about the theories first and then reflect on how you might change the activity. This could involve talking about how you could apply a deeper understanding of the theories after having practiced doing an activity with a patient. What do you think of this topic: "Is loneliness a hidden killer of the elderly in the UK?" 1. How important is loneliness in the lives of the elderly in the UK? 2. What causes depression among the elderly in the UK? 3. What are the hidden killers of the elderly in the UK? 4. How important is social interaction for elderly in the UK? I need to write an evaluation of my hairdressing unit which has been graded. Can you help me? 1. Did you prepare well enough for the unit requirements? 2. Did you do everything you were supposed to do? 3. How did you overcome any problems you encountered? 4. What would you do differently in the future based on what you learned? My assignment is to write an evaluation justification essay using my own title. However, I can't find any topic like my assignment. Would you help me, please? How would I start off an evaluation of a makeup brand? Start with a description of the advertisements of the brand and your expectation about the makeup before you actually tried it. What criteria is best to use for writing a evaluation paper on a concert I went to? 1. Selection of music played. 2. Band or artist banter with audience/ or before and after songs. 4. Crowd enthusiasm and behavior. How would I write a Course Evaluation? I need to write a qualitative evaluation essay about "YMCA health club" relying on values, tradition, or emotion. How can I start my introduction? Start either with a history of the YMCA, which will talk about how the club was created based on values, or use the mission statement of the organization. I'm writing my evaluation paper about black Friday shopping. I need more criteria, but I'm not sure what. I have the environment, prices, deals, and service. What other criteria would be good to include? How about evaluating the enjoyment of the event (compared to doing something else over the Thanksgiving weekend), and what effect it has on family time over the holiday. How do I write an evaluation of learning theories? 1. How well do they translate to better teaching? 2. Does this theory work well in different kinds of learning situations? 3. How well does this learning theory explain problems with learning? 4. Is this learning theory easy to understand? 5. Can this learning theory help teachers to design a better curriculum? How do I write an evaluation about roller coaster safety? To evaluate roller coaster safety, you would need to determine what are the best practices for safe amusement park rides. You can probably find that online. Then you should also find out about the accident statistics of the particular roller coaster you are writing about. You can use that information to determine the criteria to use for evaluation. I need to evaluate an article and evaluate if the writer makes a convincing argument or not. How do I do this? Is Star Wars a good movie for an evaluation essay? You can do an evaluation on any movie, but if you choose a very famous one, you will need to have a good angle to make it more interesting. How can I write an evaluation on the effects of balanced literacy and the reading and comprehension skills of elementary students? 1. What is the best system to teach elementary students reading? 2. Is the (name of curriculum or method) an effective way to teach reading to elementary students? 3. Is balanced literacy an effective teaching method for elementary? I'm writing an evaluation paper on Chipotle, and I don't know what my thesis should be about. Do you have any ideas? Your thesis would be the answer to this question: How does Chipotle compare to other Mexican fast food restaurants in terms of taste, atmosphere, service (or choose some other features)? How can I start an evaluation essay on Sequoia National Park? Start by describing being in the park and seeing the trees for yourself. Another good introduction would be to talk about what your expectations were before you went. I'm writing a review critically summarising the paper's main argument about "The importance of structure and process to strategy implementation." What should I include in the essay? How do I begin my introduction and other parts of the essay? At the bottom of this article, I have a section which explains the difference between Reader Response and Evaluation essay types. I am writing a justifying an evaluation paper on "The Importance of Learning Practical skills in school" My point will be how schools focus too much on grades & how practical skill classes are not mandatory anymore. What would be a good thesis statement? 1. What sorts of curriculum is most important for students in schools? 2. Does practical learning skills have a place in schools? 3. Do schools focus too much on grades? 4. What should schools focus on? How do I write in an evaluation essay on motherhood at a young age? How this affects a woman's career. How this affects her relationships. How well young women are prepared for being a parent. How well babies of young mothers do later in life. Hi Jayde, what are the most important parts of the album in your opinion? Or what makes a top album? What kind of criteria am I looking for in a music album? Yes, Pao, you could review a particular kind of car, say a sports car, or you could review new cars. Can I write an evaluation review about cars? Tom, your paper is more of a personal experience essay. To make it an evaluation, you need to pick some particular parts of the trip to rate as either good or bad. You might want to pick just one part of the trip to talk about. Would this be consider an evaluation if not how can I turn it into a good one? Orlando, Florida is a very nice place to go on vacations. It is known as one of the best places with many attractions to do. There is Walt Disney world, Orlando Universal studios, Sea World, and Lego Land to name a few. I once won a week of vacation there from the Pepsi Company. They had an event that led to rewards when entering their code under the bottle caps. I saved up and enter them all in the Orlando sweepstakes. The odd part when I won was it was on April fool’s Day. It was real though, because the same day I got a package with the information along with Pepsi shirts, a bag and a Sea World note-book with a pen and four tickets. In the package they even took care of transportation and hotel nights. The hotel was called JW Marriott Orlando, Grande Lakes. It was amazing until about the last two days when it all became a disaster visiting downtown Disney World and Sea World. Downtown Disney World, now called Disney Springs, was beautiful with the sun shining and not too hot for it being end of June. There were many places to take family pictures and look at. For an example, there was a dragon in the water that was made of Lego’s. There are many shops to enjoy for a few hours. The cons of going to Disney Springs was they were expensive and clutter. On their website under reviews there are many that say how crowded they are. There are a few creepy people that will stare and stock you as if they are going to steal something. One review by Alan B. says, “It is unfair to demand people to park their strollers at the stroller parking without informing that Disney is not responsible”. They had their stroller stolen at night and Disney said they were not responsible for the lost of the stroller. In result, it is best to not go at night and always keep an eye on your stuff. One of the biggest problems was the debris everywhere. Maintenance or the people responsible did not do their job well. My family and I went early and it was like no one cleans up before opening. On one of the websites I visited said to plan and call to make plans accurately to get the best out of your vacation. Hi Tulip, I think that you may be writing an argument essay rather than an evaluation. See my articles on each of these for help. I am trying to write an evaluation essay, but I am not sure if I am using a correct topic for this kind of essay? My topic is about the social judgment on the immigrant by their name and the social judgment on disabled people. Also, I am asking about how to build my criteria according to that topic if it is correct? 4. Problems with criminalization and jail time when the substance is illegal. 5. Dangers of drug use over the long term. 6. Addiction and how this affects health or leads to other addictions. Your conclusion should be your final idea about what should be done. These are my questions: I am planing to write an evaluation essay about dangerous of marijuana and the dangerous of legalization of marijuana I am confused about choosing my criteria I am thinking about stuff like addiction health issues ..etc. let me know what you think Also, my second question is that I didn't wrote an evaluation essay before only argument essays so how can I know if I am approaching the write requirements while writing because for it looks like the same thing, especially the paragraphs format and evidences, the only difference is the thesis judgment and conclusion.. Please let me know your thoughts . thank you appreciated. Joseph, Because you have so many questions, I'm going to ask you to put this as a question rather than a comment before I answer. Hi Daisy--You have an interesting assignment. Researchers in the U.S. coined the term "extended self" to refer to all of the things, places, and people that a person associates with their own identity. An interesting paper (https://www.ncbi.nlm.nih.gov/pmc/articles/PMC39623... suggests that not all cultures define themselves in the same way or by using the same types of possessions. For your assignment, be sure to check your instructions carefully, but my guess is that your teacher wants you to evaluate the idea of whether people really do create their identities through their possessions, project their identities through their possessions, or seek to be something through their choices of what they own, what they wear, what they "like," and what friends they choose. My assignment asked me to evaluate the concept of "extended self"....how to evaluate that? I really enjoyed reading this post! I am evaluating two medias, a short story in comparison to the film. I think what you have stated on here will guide me in my paper. Hi Za, these techniques should work for many types of applications, including companies. You also may want to look at my article on evaluating non-profits, which are a kind of company. I'm working on evaluating companies for my exam is it okay if i follow this strategies!! This really helped me with my paper. Thank you! My professor didn't tell us how to form this kind of paper. Thank you for this its really helped with my college English class. thank you gave a better explanation that my professor. That is an interesting idea Lili. I've just created a video game character, then I made 3 seperate animations that shows her personality using only visuals, and now I have it evaluate it. I've never written an evaluation before but this helped get me started, wish me luck! Hi Janelle! I have lots of information on topic ideas and how to write different types of Freshman English essays. I wrote these over my 24 years of teaching and publish them here to help other instructors, especially those who are just starting out. Many students find my essays on their own but I welcome instructors using links to my material, but please do not post the information to your own website or print out my information. Thank you for this. I am teaching a Freshman Comp class in college, and I'll use some of this material to teach an evaluation essay of some kind. I will be writing my essay on the gender inequality. Thank you for a very interesting and useful hub. Thumbs up! Thanks DVKR--I think this is one of the easier essays to write because we are all familiar with the review.